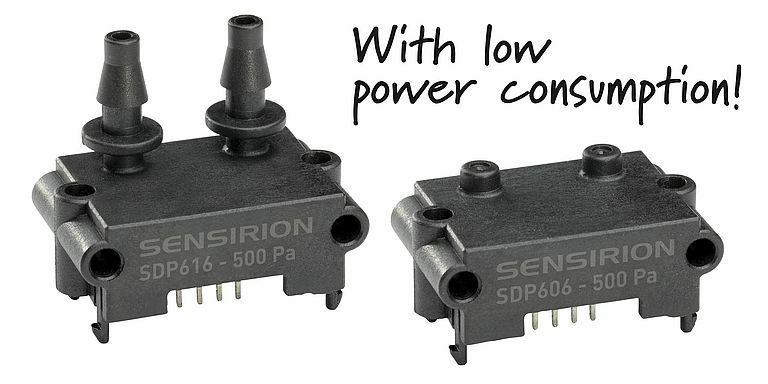 Suitable for long term battery operation, the SDP6x6 differential pressure sensor is optimized for maximum operating currents of 400µA. In sleep mode, the current drain is <1µA. The reduction in power consumption allows the SDP606 and SDP616, which enter in sleep mode after each measurement, to be used in battery powered applications. Developed by Sensirion, they offer digital I2C output and are fully calibrated as well as temperature compensated. Due to calorimetric flow measurement principle, the sensors achieve high sensitivity and accuracy at pressure differences <10Pa. Furthermore, they have very high long-term stability and are free from zero-point drift. The SDP606 is intended for direct threaded connection to a pressure manifold with O-ring sealing, while the SDP616 is designed for tube connection.